Delica Bead,finest cylinder beads, was developed for bead weaving. Bead weaving is one of the techniques that became popular in the Victorian age because of their beautiful luster and fine lines. Everybody can easily enjoy Delica bead weaving with Delica Bead and loom. 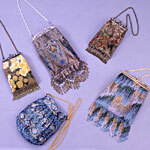 Material sets include all materials need such as Delica beads, cords,metal findings and design patterns to create projects such as "Antique Style Bag",beads jewelry and interior. 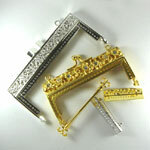 Indispensable metal findings and parts for Delica bead Weaving are for creating high-grade works. Looms and accessories. 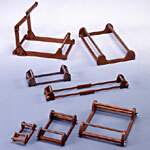 They are also important for creating works like beads,parts and etc.